Vehicular ad hoc networks (VANETs) are expected to be used for the dissemination of emergency warning messages on the roads. The emergency warning messages such as post crash warning notification would require an efficient multi hop broadcast scheme to notify all the vehicles within a particular area about the emergency. Such emergency warning applications have low delay and transmission overhead requirements to effectively transmit the emergency notification. In this paper, an adaptive distance based backoff scheme is presented for efficient dissemination of warning messages on the road. The proposed scheme adaptively selects the furthest vehicle as the next forwarder of the emergency message based on channel conditions. The detailed performance figures of the protocol are presented in the paper using simulations in the OPNET network simulator. The proposed protocol introduces lower packet delay and broadcast overhead as compared to standard packet broadcasting protocols for vehicular networks. Vehicular Ad hoc Networks (VANETs) will be an integral part of the future traffic management systems to support safety and traffic management applications as well as other data transmission services. VANETs can be seen as self-organizing autonomous system formed by the moving vehicles (Fiore, Harri, Filali, & Bonnet, 2007). VANETs can distribute road traffic and emergency information along with conventional data traffic such as entertainment applications and internet access to vehicles in a timely manner. To be a part of VANETs, each vehicle must be equipped with an onboard unit (OBU) containing wireless transceiver, a GPS receiver, appropriate sensors and control modules. In addition, additional fixed infrastructure in the form of Road Side Units (RSU) would help increase the network connectivity and provide connection with the centralized traffic control servers (Bernsen & Manivannan, 2009). To support numerous ITS applications, two modes of communications in such vehicular networks is envisaged: Vehicle to Vehicle (V2V) communication involves direct communication between vehicles, Vehicle to Road Side (V2R) communication involves communication between vehicles and static road side units (Morgan, 2010). VANETs have several advantages over the conventional wireless networks such as Universal Mobile Telecommunications System (UMTS), Long Term Evolution (LTE) and Worldwide Interoperability for Microwave Access (WiMAX). Main advantages are low cost of implementation and maintenance, self- organization and lower local information dissemination time (Javed & Khan; Karim, 2008). For the future implementation of an efficient VANET architecture, the IEEE802.11p protocol has been proposed (2010 IEEE Standards Association). The CSMA/CA (Carrier Sense Multiple Access with Collision Detection) mechanism which is used in the IEEE 802.11p MAC reduces the signaling overhead compared to the conventional cellular networks. However, use of the CSMA/CA scheme could reduce the reliability of a network when used to support emergency messaging services such as accident or breakdown notifications (Javed & Khan). Many research studies have been undertaken to improve the performance of the broadcasting techniques in VANETs. However, the broadcast suppression mechanism used in current systems results in large overhead, warning notification time and packet loss. Consider a typical scenario shown in Figure 1 where a vehicle broadcasts post crash warning notification to vehicles behind it so that they can change their route and to the rescue vehicles so that they can reach the site with minimum delay. Using a simple flooding packet transmission technique in which each node on receiving a broadcast message rebroadcasts it to all other nodes within its transmission range could result in network contention and increased overhead. Using the flooding technique many nodes will rebroadcast the warning message simultaneously causing collisions hence, dissemination of urgent information such as post crash warning notification will be either delayed or interrupted. Probability based broadcast suppression technique could also result in collisions in dense networks because nodes within a certain area have a similar probability of rebroadcast (Wisitpongphan et al., 2007). Similarly in the timer based techniques, nodes with similar assigned time slots will have similar probability of rebroadcast which will cause contention (Wisitpongphan et al., 2007). 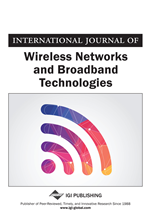 In this paper we propose an efficient geocast protocol in the IEEE802.11p network to support emergency messaging services. The proposed protocol achieves the goal of minimizing the hop count for emergency message dissemination by selecting the furthest node for rebroadcast at each hop. The selection of furthest node is made possible by a new contention window design based on the distance from the sender node. The furthest node is adaptively selected each time based on the channel conditions using an adaptive distance based backoff technique. The protocol helps in broadcast suppression and reducing the contention probability of safety message distribution in a VANET which is shown by a higher packet success rate and a lower convergence time as compared to current protocols. The proposed protocol performance has been compared with the standard packet broadcasting protocols such as flooding and a timer based protocol.